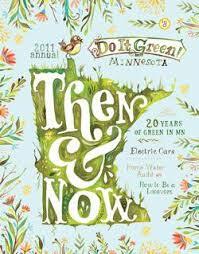 We are proud to announce that we are the newest member of the 2014 Do it Green! Directory based in Minneapolis, Minnesota. Do it Green! Is an organization that specializes in “green” living and bringing attention to environmentally friendly businesses in the Twin Cities area. Mulberrys has been voted the top dry cleaners in Minnesota. While we have a commitment to excellence, we also make sure that we are sustainable and work to minimize any impact that we might have on the environment. As we work to bring more awareness to “green” living and running a sustainable dry cleaning company, we are excited to be working with Do it Green! to make that possible. Check out the Do it Green! Website to learn more about all of the “green” happenings and advice in the area, and remember Mulberrys Garment Care for when you want to have clothing that is clean for you and clean for the environment.